Unpacking a consignment of ink from Ziller in the USA which arrived today I was struck by the beautiful colours. It is almost impossible not to unscrew the lids and load a pen with ink and be amazed at the infinite variety of effects that flow from the blade of the pen. Using a brush it is possible to load a 3a Automatic Pen with three colours and the delightful spectrum of ever-changing colour is truly spectacular. This is possible of course with many inks and paints but the viscosity of the Ziller inks seems to slow the mixing of the ink on the pen so that the mixing takes place as it flows onto the page. If you haven’t tried colour mixing I would recommend it. I would recommend Ziller Inks for spectacular colours and amazing results. Don’t be frightened off by the waterproof label, just rinse your pens frequently. For even easier cleaning just add a little ammonia to your rinse water. Full range of Ziller Inks in stock – I’ve just unpacked them! No one who has tried them has been disappointed and many have fallen in love ❤️! I am sad to announce the death of Blots Wooden Penholders. After a valiant struggle to keep these penholders in production I must finally accept defeat. The penholders are made by boring a fine hole down the end of the holder. Unfortunately the last drilling bit reached the end of its life and the toolmakers, who had made several dozen previous cutters, now seem unable to make a cutter that works. They have tried, tried and failed. Unless someone can recommend a toolmaker who can produce a short run fine cutter at an economic cost those of you who bought them previously – look after them as there will be no more. Automatic pens were originally called BOXALL Pens after their manufacturer Mr FWG (Fred) Boxall who was certainly making the pens in the late 1920’s. They were originally made in brass but as this became expensive it was changed to the nickel silver still used today. The name was changed in the mid 1950’s to Automatic Lettering Pens. At that time most show cards and posters for shops were lettered using a brush and the new pens were designed to replace the brush for large lettering and ‘automatically’ do thick lines. The company was bought in the mid 1950’s by a Geral Dupont (no relation to Dupont pens) and at that time the pens were described as ‘the Wizards of Lettercraft’. The range was more extensive than the current 13 and included an edging pen, a shading pen and a block letter pen. The prices ranged from one shilling to one shilling and three pence! (a shilling became 5 new pence). The last owner, Mr David Ford, a very amiable and likeable, gentleman, worked for the Parker Pen Company and he visited Mr Dupont who was by this time elderly. Most of the workshop was inhabited by pigeons and the machinery was covered (in polite terms) by guano! He made his own penholders on a lathe and dipped them into highly inflammable paint and hung them to dry, used petrol to degrease the pens AND smoked almost constantly! After a heart attack he sold the company to David Ford in the mid 1980’s but unfortunately died before he could hand over the manufacturing. The first ‘Ford’ Automatic pens were produced on a trial and error basis with many ending up in the recycling bin. 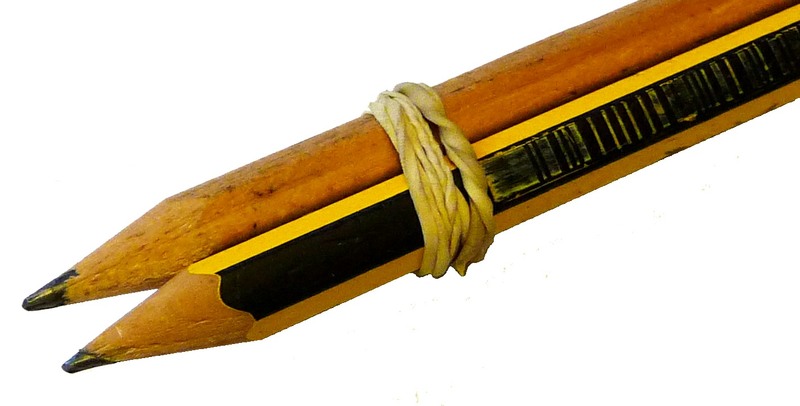 The pens were manufactured in Sussex, on the south coast of England. All the tooling was updated (and the guano left on the garden !) but every pen was hand made, hand ground and hand finished. The penholder was updated to a single size ABS non slip plastic for easier grip, balance and weight, easier to keep clean and using fewer trees. In the new millennium the manufacturing moved to C. Roberson & Co in London who continue to produce these quality pens. The full range of Automatic Pens can be obtained in our store. This is as told to John Winstanley of Blots Pen & Ink Supplies by David Ford before his retirement. Blots have started making a range of wooden dinky dips. There are several designs to fit jars or buddy cups with a choice of caps. The Tiger Stripe Dinky Dip is particularly striking and is made from separate strips of hard and soft wood. It is available pre-drilled to fit screw top jars or push on caps. View the dinky dip range here.